Entertain yourself with this new app made with Vue.js, where you can create your own label on a bottle of wine! 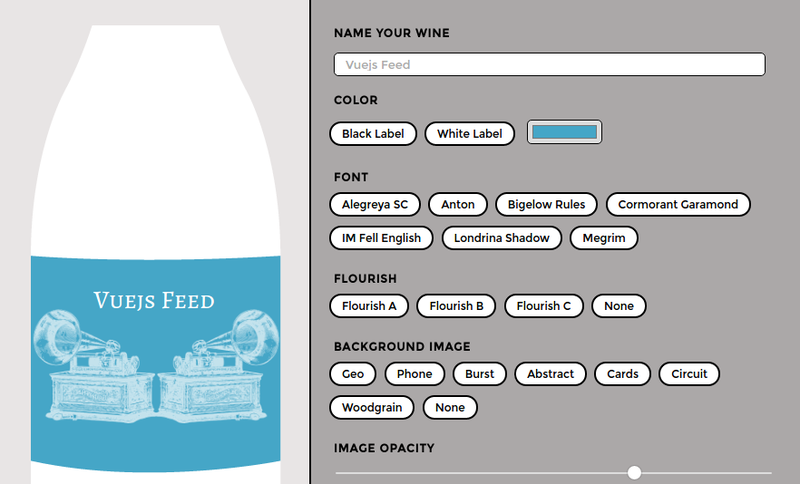 Give your wine a name, choose color font, backrground image, label placement and more. You can take a look how SVG is used in the HTML along with Vue, in the editor view, and change the result to see it in the preview. Also, all the HTML, CSS and JS code is available. Playing around with dynamic SVGs and SVG text. The creator has made available the Github repository for everyone to see and use.